The bio-jukebox musical based on the pop icon's life descends into clunky schmaltz by Act II. “I’m a goddamn goddess warrior,” Cher no. 1 insists to Cher no. 2 and Cher no. 3 in “The Cher Show,” the kitschy bio-jukebox Broadway musical created in honor of the “Goddess of Pop” that is now on Broadway. Stephanie J. Block (“Star,” Cher no. 1), Teal Wicks (“Lady,” Cher no. 2) and Micaela Diamond (“Babe,” Cher no. 3) portray Cher at different times in her life. They also jointly narrate her origin story, provide wry commentary and argue among themselves over major decisions. Will America hate Cher for leaving Sonny? Is she too sick to accept a role in “Thelma & Louise”? This meta theatrical concept is oddly appropriate for the campy concoction that is “The Cher Show.” Directed by Jason Moore (“Avenue Q”), with bizarre and skimpy costumes designed by Bob Mackie and arena tour-style choreography, the production proves to be more tolerable than similar star-worship vehicles, though nowhere near as satisfying as “Jersey Boys” (The Four Seasons) or even “Beautiful” (Carole King). As you would find in any of the hourlong, made-for-TV documentaries on Cher’s life, “The Cher Show” dutifully marches through Cher’s upbringing in Southern California with single mother Georgia Holt (Emily Skinner, with a tough exterior), partnership with Sonny Bono (Jarrod Spector, brash and nasal) and other doomed romances, without forgetting her humiliating infomercial period and Oscar-winning film career. Other real-life figures who make short appearances include rocker Gregg Allman, Lucille Ball, director Robert Altman and record producer Phil Spector, making “The Cher Show” resemble a bumpy tour of mid-to-late 20th century American pop culture. The three lead actresses — who hustle, belt and wisecrack their way through the production — deserve a lot of credit for serviceably recreating Cher’s dark, smoky voice and various personas without dipping into caricature. Before the show turned into a clunky, schmaltzy mess in Act II, I was rather enjoying the show for what it is, which says a lot about Cher’s mass appeal, the talent at work in “The Cher Show” and just how low this audience member’s expectations have sunk when it comes to the jukebox musical subgenre. 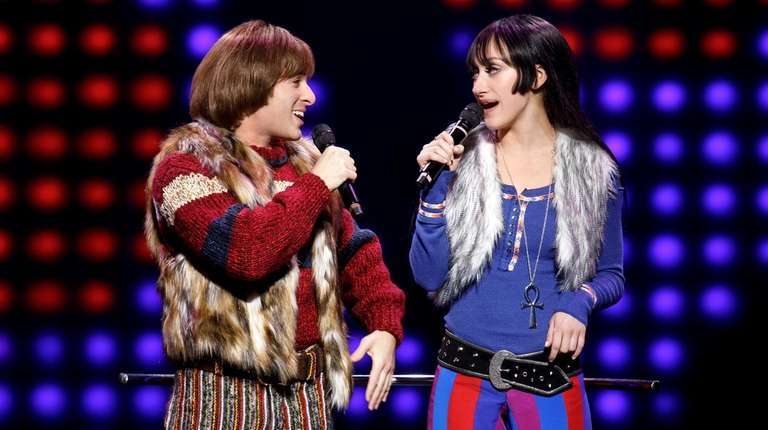 If you go: “The Cher Show” plays an open run at the Neil Simon Theatre. 250 W. 52nd St., thechershowbroadway.com.